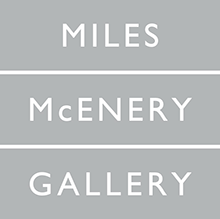 New York, New York – Ameringer | McEnery | Yohe is pleased to announce an exhibition of new paintings by Suzanne Caporael. 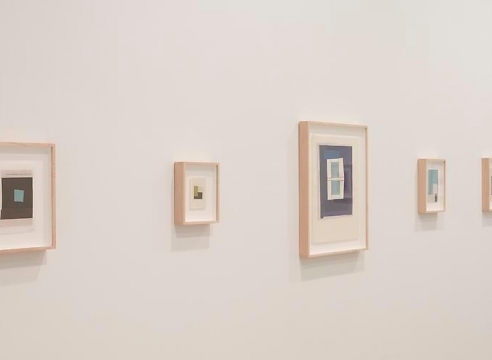 Seeing Things will open on 15 November and will remain on view through 22 December 2012. A reception for the artist will take place 15 November, between 6:00 and 8:00 PM. The public is welcome. A few years ago, Suzanne Caporael hit a patch of ice while driving on a rural road. As the car raced down a steep hill, she “saw” the landscape slowly dragged across her vision – as though her eyes were trying to hold her in place while the car continued its slide. The memory of that visual anomaly led her through a thicket of books and essays on the subject of visual cognition. Neuroscientists, magicians, artists and art historians, as well as psychiatrists, psychologists and evolutionary biologists, have all contributed to the literature on the eye—brain connection. The eye is device, the brain interprets. Vision has its own peculiar language of cues, some straightforward and some more subtle. In her new paintings, Caporael grapples with these cues, and with the way in which time and cultural reference affect how we see what we see. From the visceral to the deeply conceptual, the paintings present challenges to recognition and preconceptions. Some, like 632 (Home Field, Witnessed) are minimally descriptive. Others construct and reveal methodology of optical illusions, and a pair of “Newton’s Buckets” address the conundrum of rendering the strictly mental image. In 622 (Pierrot After Watteau After Picasso After Gary Clarke), fully seeing requires specific prior knowledge and 624 (Youth with a Wooden Leg) presents a choice between conflicting realities. Included are Caporael’s paintings alluding to and celebrating other artists’ engagement with the discordance between seeing and knowing. Exploring the different pathways to seeing has led Caporael to soften her formalistic practice, and the result is a full-blown stylistic disparity well suited to her subject. The paintings do not look alike. Each is endowed with an honesty of purpose of its own. Confidently moving between the dynamic and the serene, Caporael reveals a flexibility and dexterity previously held at bay. 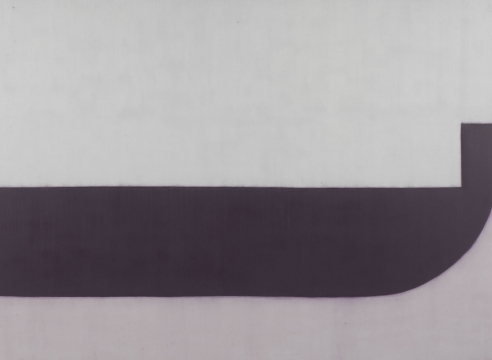 The elegance remains, as does the scholastic rigor that has categorized each series in the artist’s 30-year career. 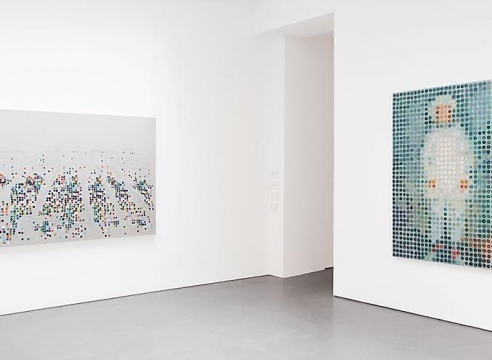 Individually these paintings ask questions that beget more questions. Collectively, they invite the viewer to share the artist’s journey – to see ourselves seeing. Suzanne Caporael was born in the United States in 1949. She earned her Bachelors and Masters degrees from the Otis Art Institute in Los Angeles, California. Her work is represented in many major museum collections including the Whitney Museum of American Art, New York, NY; The Museum of Contemporary Art, Los Angeles, CA; the Art Institute of Chicago, Chicago, IL; the Los Angeles County Museum of Art, Los Angeles, CA; the Milwaukee Art Museum, Milwaukee, WI; the Legion of Honor, Fine Arts Museums of San Francisco, San Francisco, CA; the San Francisco Museum of Modern Art, San Francisco, CA and the Yale University Art Gallery, New Haven, CT, among others. The artist lives and works in Stone Ridge, New York with her husband, novelist Bruce Murkoff. This exhibition is accompanied by a fully illustrated catalogue with an essay by noted poet, writer and critic John Yau.